Bring us your landscape ideas, and we’ll transform them into a stunning design that fits your property and budget. At Outback Landscape, our experienced team can design outdoor spaces like patios, pergolas, water features, walkways, outdoor kitchens and plant beds. We combine your wish list with our expertise to create the perfect landscape plan for your space. 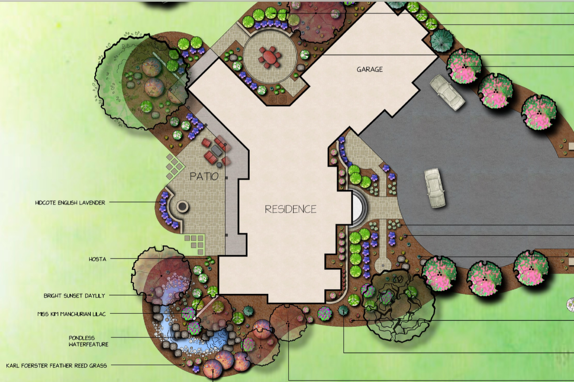 Why Hire a Professional Landscape Designer in Idaho Falls? Unless you want to go into your project blind, you’ll need to have a solid landscape design to serve as your road map. A professional design will make sure you and the contractor are on the same page and also help you better envision the space. Designers will be able to seamlessly incorporate all of your ideas and tell you what will and won’t work for your landscape. It’s a lot cheaper to change your mind on paper than in the middle of construction. First time working with a landscape designer? Here are five ways to prepare for your meeting. Our experts will collect your property’s specific measurements and craft a custom design that will serve as the road map for your project. There’s no copy-and-paste or one-size-fits-all approach here. Your property is unique, so shouldn’t your landscape design be, too? This process takes several hours to make sure every aspect is perfect, from the patio shape and size to the plant selection. The design cost depends on factors like the size of the project: Do you want a small patio or a complete landscape renovation with an outdoor kitchen, patio water feature, fireplace and foliage? The larger and more detailed the project, the more time it will take to design it, which affects the price. If you want to incorporate changes after the landscape design has been approved, that increases the cost, as well. We have landscape designers in-house who have years of design experience. Our professional landscape design service starts at $500. At your first meeting meeting with our design experts, we’ll talk about your wish list, time frame for completion, budget and the scope of the project. One of our in-house designers will take that information and create a full-scale drawing in 2D or 3D, along with a plant and materials list. Then, the designer will share the draft with you and incorporate any changes you may have. When you’re happy with the design, you’ll sign the contract and offer a down payment so we can get started on the project. And that’s it: We’ll take it from there. Are you ready to enjoy an inviting patio or tranquil water feature in your backyard? 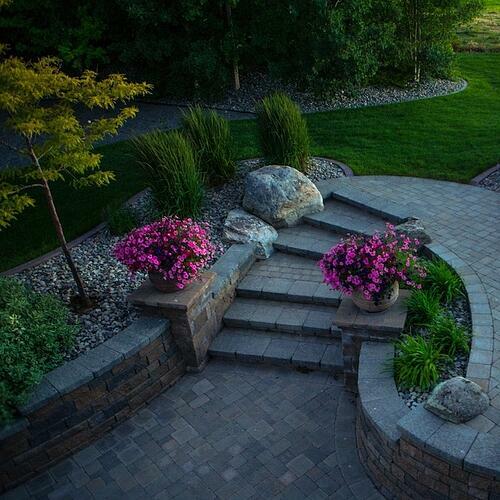 Start by getting a professional landscape design from a trusted company. Located in Idaho Falls, we provide landscape design services for residential and commercial properties in Idaho Falls, Pocatello and Rexburg, Idaho, as well as Bonneville and Bannock counties. Call us at 208-656-3220 to schedule a free meeting with one of our talented team members. Or, fill out the form below to get started. This project was completed on time and at the quoted price. The project adds beauty to our yard year round and receives rave reviews!